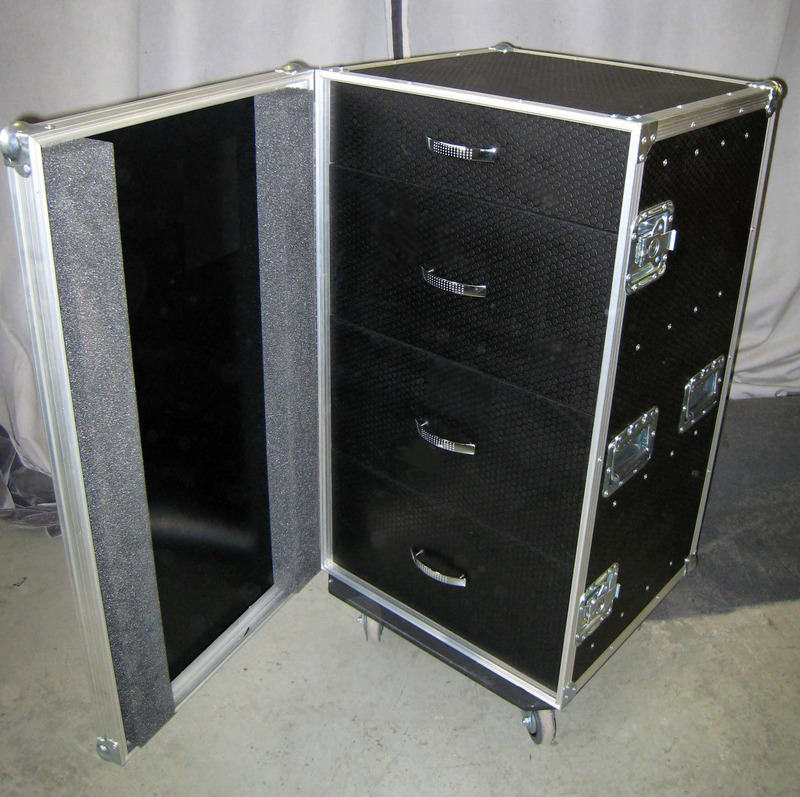 Our high quality, custom ATA cases are designed to protect and move high value, sensitive, and delicate equipment and instruments that will be routinely and repetitively transported to trade shows, customer demos, sales presentations/ events, customer training, music or sporting events, or for field repair. At LPC every case is designed and built to meet a unique need. Our engineers are experts at designing a case for how it will be used, transported, accessed, and stored. Because of our extensive experience, we can help you select the right components and give you ideas to improve the packaging of your equipment. 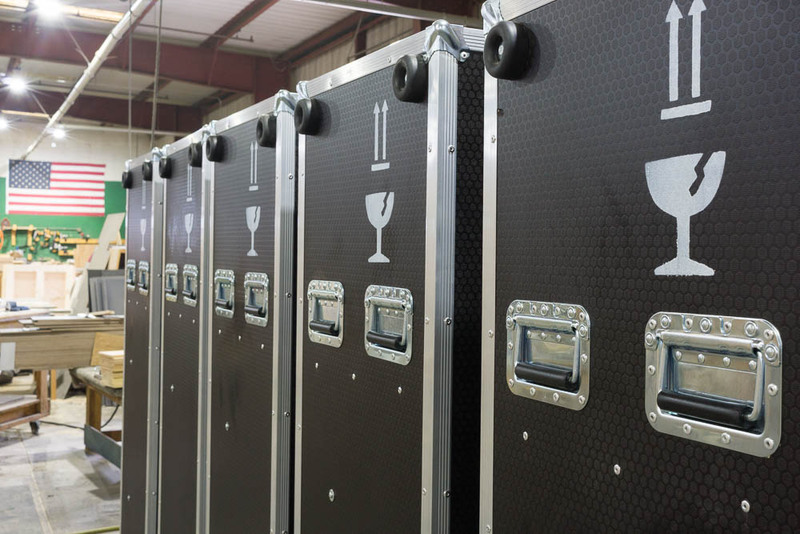 Our ATA cases, and our line of road cases for production companies and events (Kryptonite Cases), are built at our Milpitas CA facility from the highest quality parts. Each case is custom made to the design specifications. Foam inserts are also customized to ensure the most precise fit for your equipment. A well-fitting foam also presents a professional appearance when your case is opened. Before you receive your case it is inspected to ensure that nothing has been overlooked. HexaGrip—Film Laminated plywood. High quality birch plywood with the outside laminated with a black phenolic pattern and the inside a smooth black phenolic. This high precision material makes excellent panels for cases because it is rigid, lightweight, and thin. High impact ABS—(Acrylonitrile-butadiene styrene) A single-sided plastic laminated to hardwood plywood. The plywood can be solid core or have multiple layers. 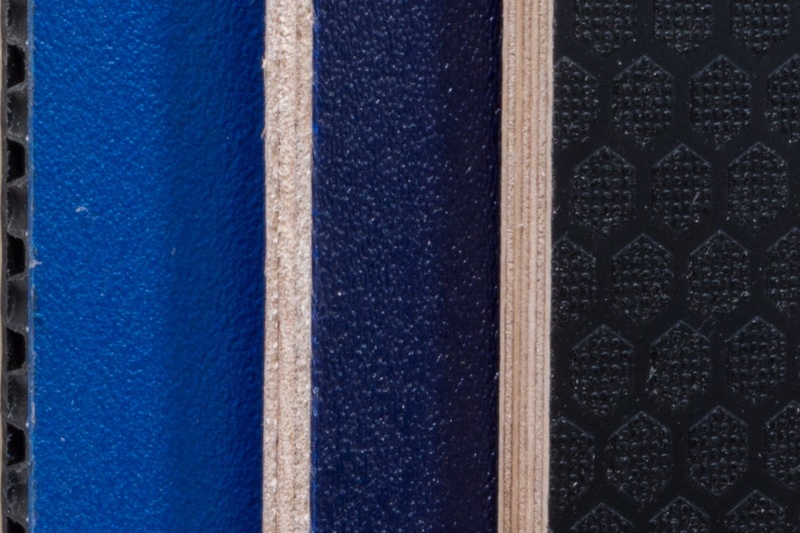 FlightPanel plastic—a lightweight polypropylene board, textured on one side. The manufactured cases are 30% to 40% lighter than laminated plywood, although it is not a durable as wood and costs more. Many custom styles and options are available.